On April 8, 1949 in San Marino, California, three-year-old Kathy Fiscus, while playing in a field with three other children, fell down an abandoned well, only fourteen inches wide, and became wedged ninety-seven feet below the ground. Arriving on the scene, Leigh Wiener came upon hundreds of other newspeople, photographers, and television crews. Believing there was little else at the scene that could be photographed, Wiener left the field and walked to the Fiscus home. 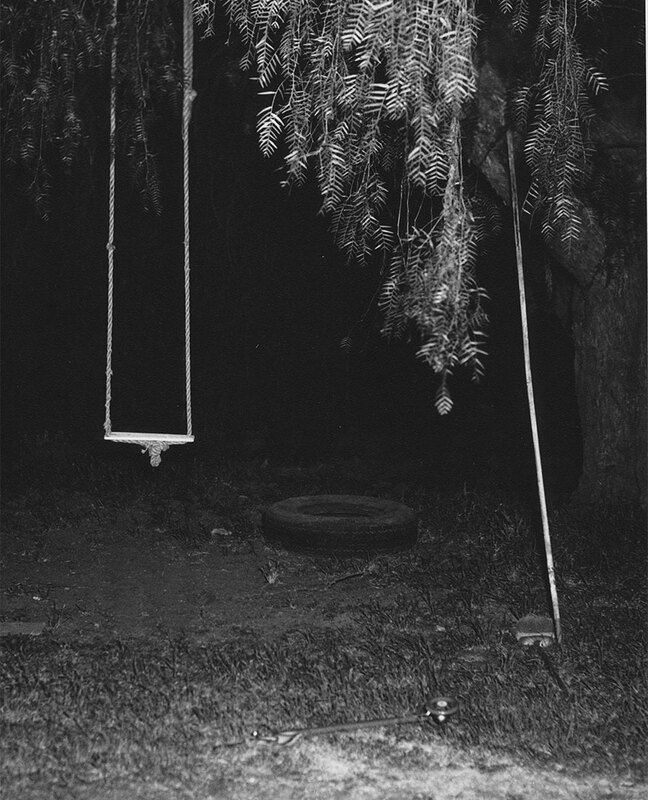 There in the rear yard, using his 4×5 Speed Graphic, he photographed the child’s empty swing. Returning to the scene, Wiener waited along with everyone else. Despite the efforts of the rescue teams to reach her, Kathy’s lifeless body was brought up two days later. Subsequently, Wiener’s powerful photograph of the child’s empty swing was used on the front page of over 150 newspapers nationwide.